Europe Cruise & Travel - Tulip Time Cruise on MS Amakristina. 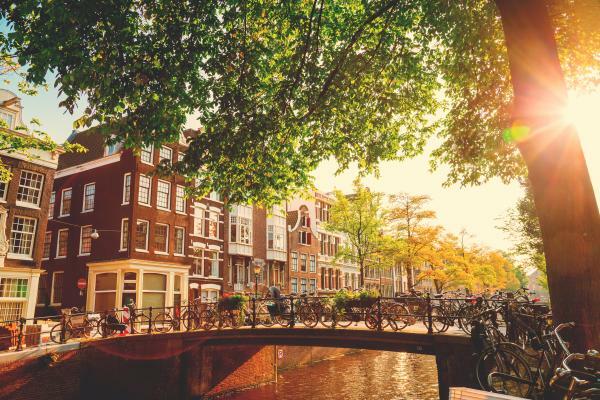 This magical 10-day adventure offers you 2 nights in Amsterdam, followed by a 7-night cruise through The Netherlands & Belgium in the spring, traveling round-trip from Amsterdam. 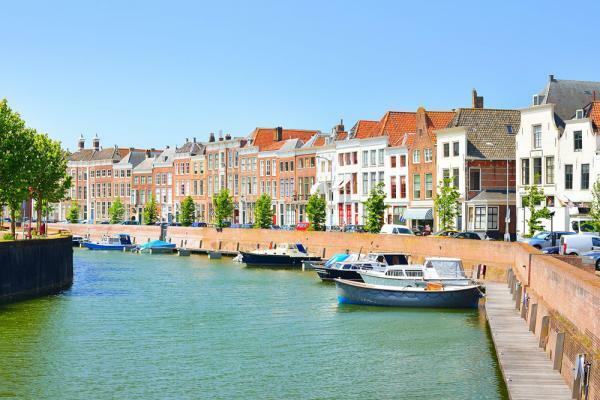 Visit Middelburg, which boasts more than 1,000 city monuments, on a walking tour or bike ride. Enjoy an exclusive Belgian chocolate and waffles tasting or a visit to Floralia, an annual spring flower show that spans over 34 acres and features approximately one million bulbs that are hand-planted each year by the castle staff. 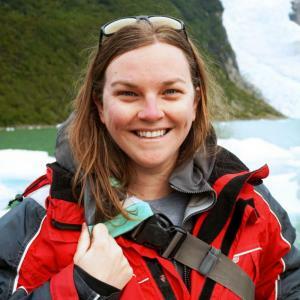 The variety of excursions is incredible - you decide how you want to experience this unique voyage. Arrive in Amsterdam today, check into your hotel, and enjoy some free time. A city tour of Amsterdam provides the perfect overview before enjoying leisure time on your own. Check out of your hotel and before transferring to the ship, visit Zaanse Schans windmills and village. Later tonight enjoy a welcome aboard dinner. Enjoy a scenic cruise through the Ijsselmeer to Hoorn, where you have a choice of three excursions. 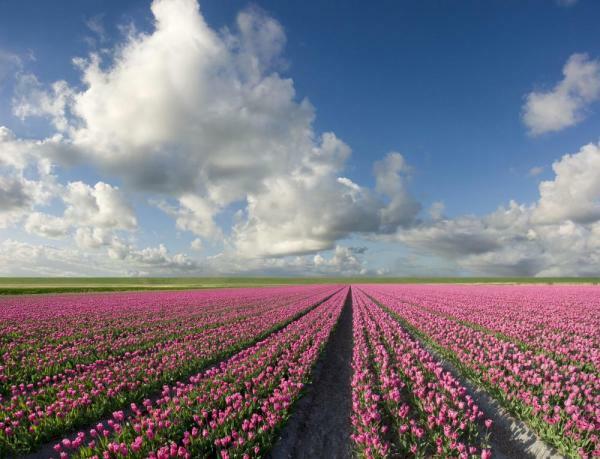 Visit a family-run tulip farm with over one million tulips, each in different phases of growth and in many species and colors. For those seeking to travel back in time, you can tour De Halve Maen, a replica of the Dutch East India Company’s most famous ship and then stroll through Hoorn’s beautiful old harbor. And for more active adventurers, go for a guided bike ride through the Dutch countryside. After enjoying a scenic cruise through the Delta, you can explore medieval Middelburg, which was the second largest trading city of the Dutch East India Company. Or, if you feel like exploring the city on two wheels, a guided bike ride is the perfect choice. Alternatively, you may venture off to the Delta Works storm surge barrier, an impressive series of dams and Dutch hydraulic engineering. More than half of the Netherlands lies below sea level and the Delta Works were built to prevent a recurrence of the 1953 flood disaster. 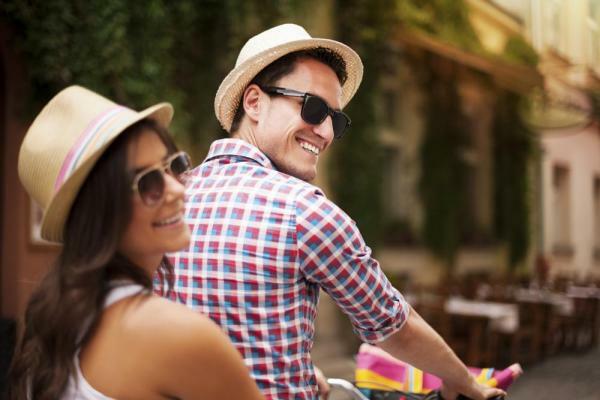 There are several choices of excursions, depending on your interests. 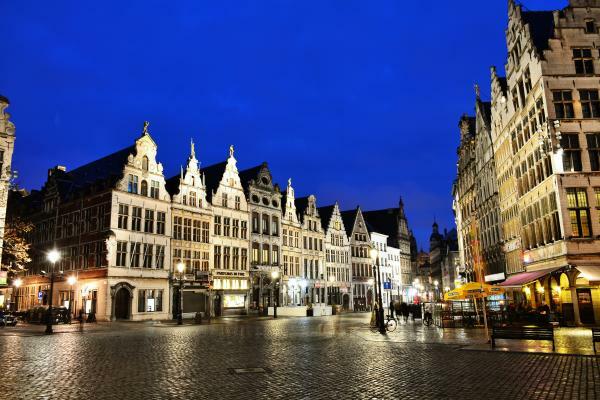 For those who wish to discover two medieval cities, Ghent and Bruges, you’ll wish to go on a highlights tour. Admire Ghent’s canal-side architecture and some of its famous sights, including the Castle of the Counts and Ghent Cathedral, and then visit Bruges, one of the best preserved medieval cities in Europe. Alternatively, you may go on a full-day excursion to Bruges, which includes a visit to the Church of Our Lady, home to the beautiful Carrara marble Madonna and Child sculpture by Michelangelo. Those more inclined to learn about the art of Belgian chocolate making can join a master chocolatier as he shares his insights. And for those who wish to enjoy more free time, join a walking tour of Ghent, followed by leisure time. Explore this trendy city on a walking tour where you’ll see Antwerp’s Steen Castle, Grote Market and Brabo Fountain, along with the UNESCO-designated Cathedral of Our Lady. For a more active exploration of the area, join a guided bike tour. 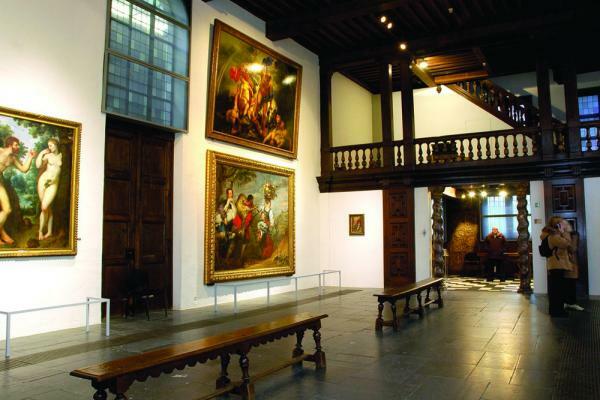 Or you can visit the Rubens House, the former home of the famous 17th-century Flemish Baroque painter. Later in the afternoon, you have a choice of two excursions. 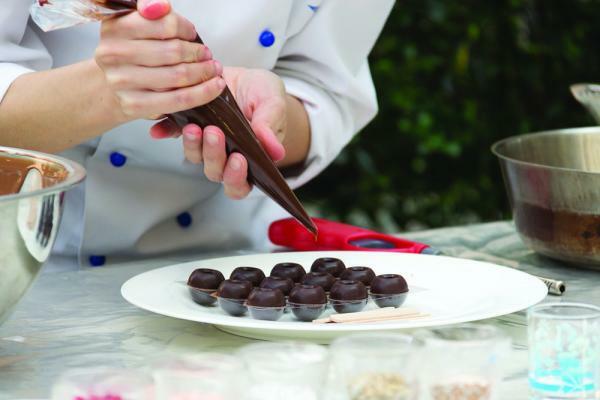 Foodies will want to go on a culinary tour to indulge in chocolate, waffles and beer. Flower lovers and gardeners can roam through the Floralia, an annual spring flower show featuring approximately one million bulbs that are hand-planted each year by the castle staff. During the morning, you can visit The Hague, the capital city of the province of South Holland, before going to the charming city of Gouda, known for its delicious cheese. Alternatively, combine Gouda with a visit to the Royal Delft Porcelain Factory and Museum, known for being the manufacturing base for hand-painted blue pottery known as Delftware. Or enjoy a guided bike tour through scenic Rotterdam, nicknamed the "Gateway to Europe." In the afternoon, venture to the UNESCO World Heritage Site of Kinderdijk, a lovely village renowned for having the country’s greatest concentration of windmills, all dating from the 18th century. 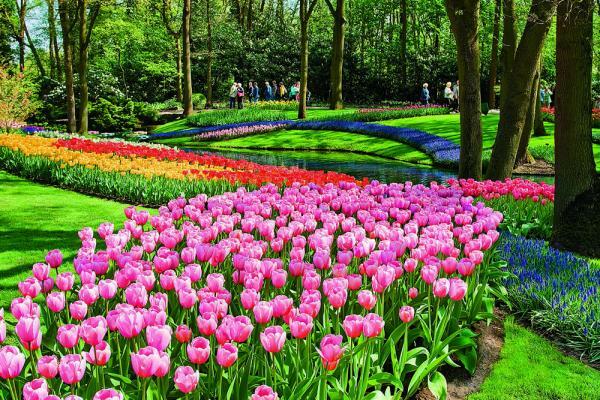 One of the most impressive public gardens in the world, Keukenhof, presents a spectacular display of millions of flowering tulips spread out over 70 acres. Spend time ambling through this legendary garden, open only nine weeks a year and sometimes referred to as the "Garden of Europe." Later in the day, admire Amsterdam’s historic harbor and canals, where you can see beautiful homes lining the water, the fabled Skinny Bridge and the Anne Frank House. Experience authentic Dutch culture as you tour the historic city of Amsterdam in the Netherlands. A city tour will wind you through its canals and to countless museums. Then depart on a classic European river cruise on the tranquil Rhine towards Germany and Swtitzerland, with opportunities for biking and hiking along the way! 160 square feet. 4 cabins on Piano Deck with fixed windows. 160 square feet. 8 cabins on Piano Deck with fixed windows. 155 square feet. 4 cabins on Violin Deck with French balcony. 170 square feet. 14 cabins on Violin and Cello Deck with French balcony. 210 square feet. 15 cabins on Cello Deck with French balcony and outside balcony. 210 square feet. 12 cabins on Violin Deck with French balcony and outside balcony. 235 square feet. 10 cabins on Cello Deck with French balcony and outside balcony. 235 square feet. 8 cabins on Violin Deck with French balcony and outside balcony. 350 square feet. 4 cabins on Violin Deck with French balcony and outside balcony.